I started with Oracle certifications at the time of 8i. I had good experience on development side, but more limited on operation side. The certification, 4 exams at that time, was the way for me to prove my knowledge on *all* database domains, including operations. After that, I was able to find position on operation DBA side more easily without the ‘did you administrate big critical databases in production?’. It was clearly more liberty in job seeking. I really enjoyed the preparation of the exam because it forces you to learn all features, even those that you don’t use daily, or even never used. At that time I discovered the Resource Manager for example, which was new, not widely used. It is now a key component in consolidation. It also helped me to know and appreciate RMAN which was not so friendly at that time. It quickly became the mostly used backup solution. Certification is a proactive way to learn and use features before they are widely adopted, so you are always in advance. Then I passed the upgrades as soon as new versions came out, as early as the beta exams came out. Recruitment people often ask for years of experience in all technologies. This is clearly impossible on new versions, but employers and customers still asked 2 years experience on 12c when 12cR1 was out for 6 months only! Having passed the certification is the best you can do to show maximum experience even when nobody has the version in production yet. Once again, it is the way to have one step ahead. In addition to OCP I also passed several OCE exams. They are not easy at all and require focused and deep knowledge, especially on new features. And then I passed the big one, the OCM 11g. This is an exam that really means something by itself: your knowledge and experience is at top so that you can make the right decision quickly on any unexpected situation. When recruiting a candidate who is certified master, there’s no need to ask and test his skills: the certification says it all. 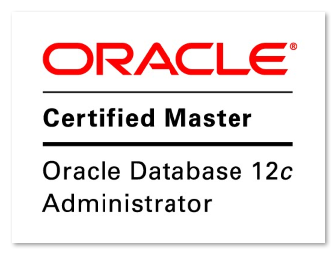 As usual, I passed the OCM 12c upgrade as soon as it was available. This was big preparation, because all those new features were not widely used at that time (Multitenant, Flex ASM, etc.). But preparing on new version is a lot more motivating, driven by the curiosity of new features that you didn’t use or didn’t know yet. In summary, the preparation of the exams is the best to learn all features of a product, because you have clear goals for your learning. You need to read documentation, and you need to test in your lab. And when you have prepared enough, I can assure you that the exam day can be really enjoyable.